Ever read about a Soairse or Siobahn and wondered exactly how you should pronounce that? 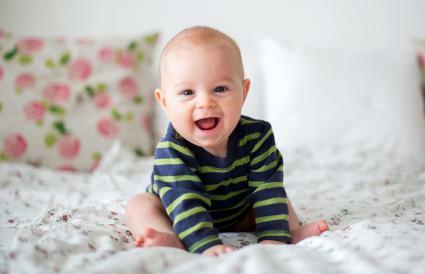 From Irish names to unusual spellings of more common names, one of these names just might be perfectly fitting for your new addition. While many mispronounced names are just really unique, these names are fairly common. Still, they are also often mispronounced. Gemma - The 'g' should be pronounced as a 'j,' so pronounce this Italian name as JEM-muh. Imogen - A name that harkens back to a different era, this name is pronounced IM-o-jen. Isla - Pronounce this as EYE-la. The 's' is completely silent in this beautiful Scottish name. Kyra - While you may want to pronounce the 'y' as an 'i,' the correct pronunciation here is Keer-uh. Lourdes - This French name is correctly pronounced, LOORD. However, many people also say, Lord-ESS, as a way of Americanizing the name. Siobahn - This strong Greek name is pronounced as Shuh-bahn. Zooey - Pronounce this as ZOH-ee. Graham - The most popular way to pronounce this name is just plain old GRAM. However, it isn't incorrect to say GRAY-hum. Joaquin - Popularized by the actor, the name is pronounced, Wah-KEEN. Lachlan - A more modern baby name, treat the 'ch' as a 'ck.' Say this name as LOCK-lun. Luca - This Italian name for Luke is seeing a rise in popularity recently. Pronounce it as, LOO-kuh. Noel - Many people want to pronounce this as No-ELLE, but when used as a boy's name, cut out the second syllable and make it rhyme with bowl, as in NOWL. Stephan - This European version of the name Stephen throws people for a loop. Some parents use this spelling to say Stephen, but it is most commonly pronounced as Stef-FAWN. Xander - Treat the 'x' as a 'z' in this great name. Pronounce it as ZANDER. Anais is a French name and knowing that it is French might help you pronounce it. Say Ah-nah-EES. Aymeline is another French name. Just envision that 'Aym' as a 'Em' and you'll have the pronunciation down. It is pronounced Emma-LEEN. Doutzen is a Dutch name pronounced DOOT-sin. Freja is a lovely name from Norse mythology. Say it like this: FRY-yah. Hanne has a variety of commonly accepted pronunciations, but HENNY seems to be the one used most often. Niveah is actually heaven spelled backward. Pronounce it as niv-AY-uh. Zosia rhymes with the name 'Sasha.' Make the 'o' short and say it like ZAH-shuh. Bohdi confuses people because of the extra 'h,' but just keep it silent and you'll be on the right track. Say it like this: BO-dee. Dashiel is pronounced by many as dash-ee-elle, but its correct pronuncation is DASH-el. Dries rhymes with the word 'breeze.' So when you see this as someone's name, remember it's DREEZ. Haider is hard because contrary to English, it's the 'i' that gets all the attention. Bonus points here if you can roll your 'r' and say, HIGH-der. Hermès is a French name, but it is not terribly common, so if you're going for something unique - this might be your name. Say it like AIR-mez. Hervé is another French name and is pronounced like AIR-vay. Rhys is confusing and many people pronounce it as 'rice.' Instead, say this name as REESE. Aoibhe, believe it or not, is pronounced as Eva. The other spelling of this name is Aoife, which might yield some closer guesses. Beibhinn means fair lady and is pronounced as be-VEEN. Blathnaid is a tough one but is pronounced BLY-nid. Grainne is a beautiful name pronounced GRON-ya. Maeve, also spelled Meabh, is said as MAVE. Mairin is similar to Mary. Say it like MAIR-in. Niahm looks tricky with that extra 'h' in there. But it's pronounced NEEV. Domhnall is tricky because of all the silent letters in the middle. It's pronounced like DOUGH-null. Eóin is pronounced like the name Owen. Fionn has a silent 'o.' Say it like this: FINN. Oisin is borrowed from Irish mythology. It's pronounced oh-SHEEN. Padraig is the Irish equivalent of the name Patrick. However, it's usually said as PAW-drig. However, you can also pronounce it PAW-ric. Seanan has several pronunciations, but most commonly you can pronounce it as SHAN-in. Tadhg isn't pronounced at all how it might look. Say the 'a' as an long 'i' sound and you'll have it: TYG. There is nothing wrong with going out on a limb and giving your child a really unique name. In fact, that's a great way to really stand out. 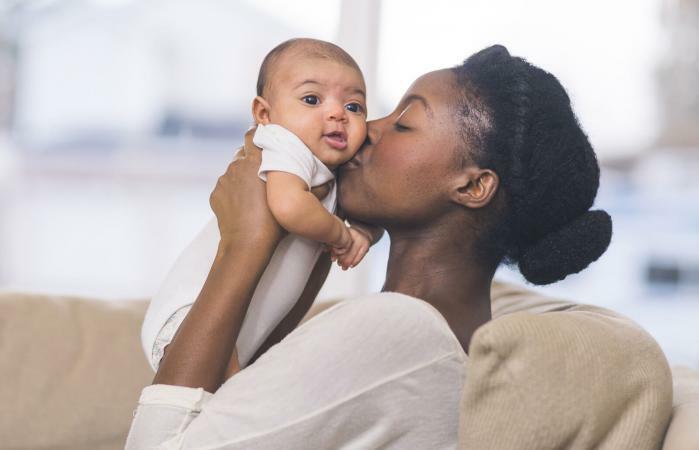 However, know that you are setting your little one up for years of people mispronouncing their name. With that said, that is a great conversation starter and a good way to help your child learn to be confident in introducing himself.